Following the publication of the Carequality Interoperability Framework last month, five major EHR vendors have signed up and agreed to adopt the Sequoia Project’s Carequality initiative. The Sequoia Project has announced that athenahealth Inc., eClinicalWorks, Epic Systems Corporation, NextGen Healthcare, and Surescripts have all agreed to adopt the new framework. Universal interoperability may be some way off, but the addition of the EHR vendors is seen as a major step in the right direction. Thanks to the comprehensive framework, the companies will reap a number of connectivity benefits that were previously difficult to attain until the Framework put an end to the need to enter into separate legal agreements with organizations before data sharing was possible. 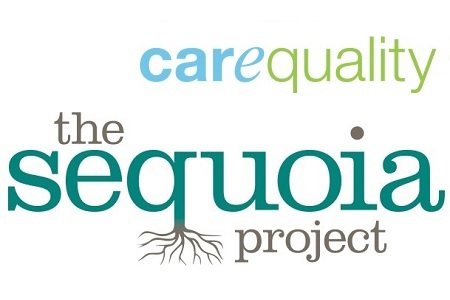 The Carequality Interoperability Framework was published last month by the Sequoia Project; an Independent advocate for the nationwide exchange of health information. The Framework was developed as a method of speeding up the sharing of health information, cutting out unnecessary cost, and helping to improve both the quality and quantity of health data that is exchanged between healthcare providers and other entities. Until the development of the Carequality Interoperability Framework, data sharing partners were required to sign separate legal agreements with each data sharing partner, which took a considerable amount of time and involved a not insignificant cost. The Carequality Interoperability Framework leverages existing business relationships, networks, and health information exchanges allowing data sharing partnerships to be formed much faster. The framework is intended not only to improve data sharing between healthcare providers and health information exchanges, but also between payers, vendors, and government agencies. The Carequality Interoperability Framework was developed to facilitate the exchange of health information and improve interoperability. Medical informatics director of analytics and innovation at Stanford Health Care, Dr. Matthew Eisenberg FAAP, is co-chair of the Carequality Advisory Council. He explained last month that Carequality was developed because “We need secure health information exchange, where a patient’s story travels with them, to provide safe, efficient, engaged, high quality healthcare.” However, while progress was being made, it was not being made quickly enough. The Framework comprises a number of different elements including legal terms and conditions, policy requirements, governance processes, and technical specifications, and is based on the previously approved Principles of Trust. Last month it was announced that 12 organizations would be part of the initial roll-out of data sharing, each of which played a key part in the development of the framework. The inclusion of five EHR vendors is a major step forward toward universal interoperability.